Obituary for Donald J. Schneider | Lynch-Green Funeral Home, Inc.
Donald J. "Chick" Schneider, 84, of 120 Poplar Road, St. Marys, died at his home on Saturday, April 6, 2019 surrounded by his family following a brief illness. He was born on September 22, 1934, in St. Marys, a son of the late George and Margaret Geyer Schneider. On July 19, 1958 in St. Marys Church, he married his high school sweetheart, JoAnn Gahr Schneider, who survives of St. Marys. Don was a lifelong resident of the area and a graduate of Central High School, class of 1952. He served in the U.S. Army from 1957-1959 and was a member of Queen of the World Church. He retired from Keystone after more than 44 years of service. Throughout the years and after retirement, he worked additional jobs at the Country Club, where he was known for his cocktail-making skills, and at Straub Brewery and Elcam. The most important thing to Don was his family, and he will always be remembered for the cookies he regularly made for his grandchildren. He enjoyed listening to music and could often be found outside taking care of his lawn. In addition to his wife of more than 60 years, JoAnn Gahr Schneider, he is survived by two daughters; Amy, Mrs. John Dougherty of Bethel Park and their 2 children, Melissa (Brad) Weinbaum & Matt (Emily) Dougherty; Lynn, Mrs. Frank Distler of Essex, VT and their 3 children, Mara (Grey) Bates, Rachel & Alec Distler; three sons; Dan Schneider and his wife Carla of St. Marys and their 2 children, Kyle and Nicole Schneider; Chris Schneider and his wife Chrissie of St. Marys and their 3 children, Tom, Sam and Carli Schneider; and George Schneider and his wife Lianne of St. Marys and their 2 children, Hannah and Brady Schneider; as well as by two great grandchildren, John Dougherty and Lana Bates. He is also survived by a brother; Norman "Boo" (Anna) Schneider of St. Marys, a sister; Hilda Kronenwetter of New Jersey, as well as by numerous nieces and nephews. In addition to his parents, he was preceded in death by a son, Craig Schneider in 2013, four brothers, Robert, George, James, and Lawrence Schneider, and by five sisters, Alice Schneider, Frances Burfield, Edna Wagner, Margaret "Bugs" Eckert, and Theresa Gier. 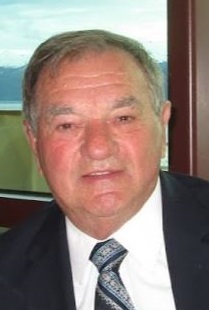 A Mass of Christian Burial for Donald J. Schneider will be celebrated on Tuesday, April 9, 2019, at 12:00 PM at Queen of the World Church, 134 Queens Road, St. Marys, PA, 15857 with Rev. Jeffery Noble, Pastor, and Rev. Michael Ferrick concelebrating. Interment will be in St. Marys Catholic Cemetery. Visitation will be held at the Lynch-Green Funeral Home on Monday, April 8, 2019 from 5:00 PM until 8:00 PM. Memorial Contributions may be made to the Community Nurses Hospice, Johnsonburg Road, St. Marys, PA 15857.